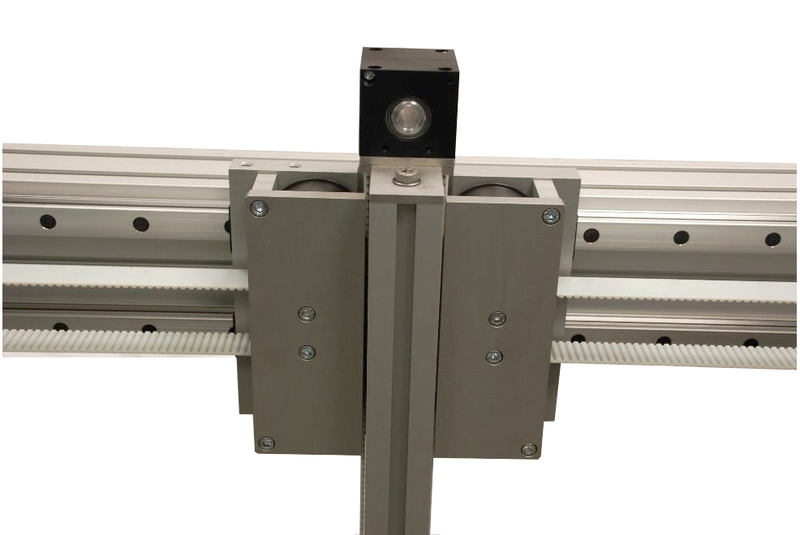 High Speed Pick and Place of Towels of 1 kg in horizontal and vertical direction. To reach this speed at these short strokes the acceleration and deceleration must be high. Therefor the moving masses must be as low as possible. Every component should be investigated if there is an alternative with a lower weight. 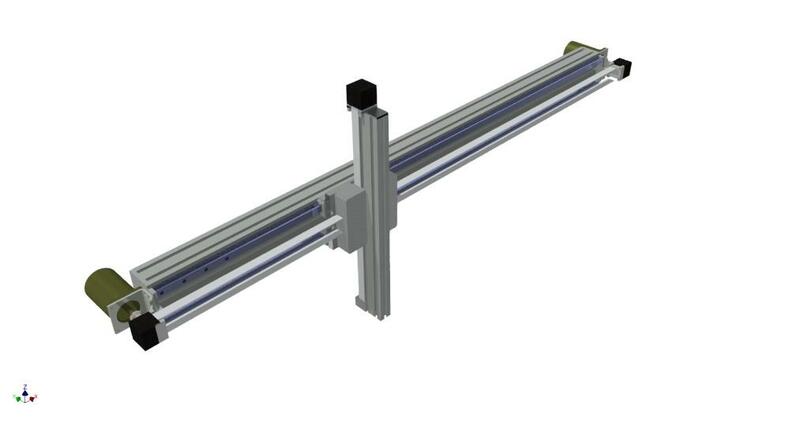 A component with a high weight is the servomotor with gearbox it is about 2,5 Kg. 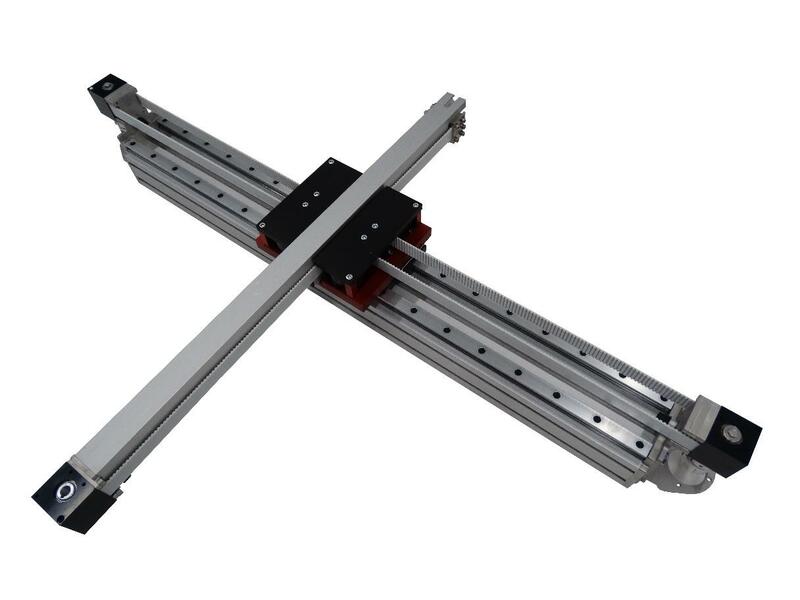 In conventional solutions the servomotor will also be placed in the horizontal movement. A solution has to be found to take the 2,5 Kg out of the movements. Best is the have the motor/gearbox stationery. 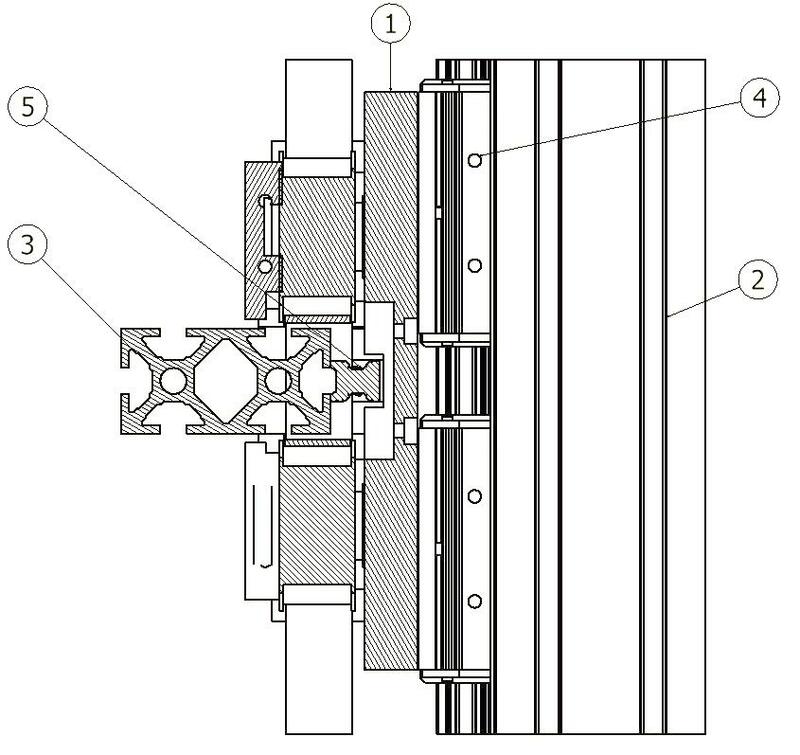 The so called “OMEGA BELT STRUCTURE” has both motors mounted “to the world”. 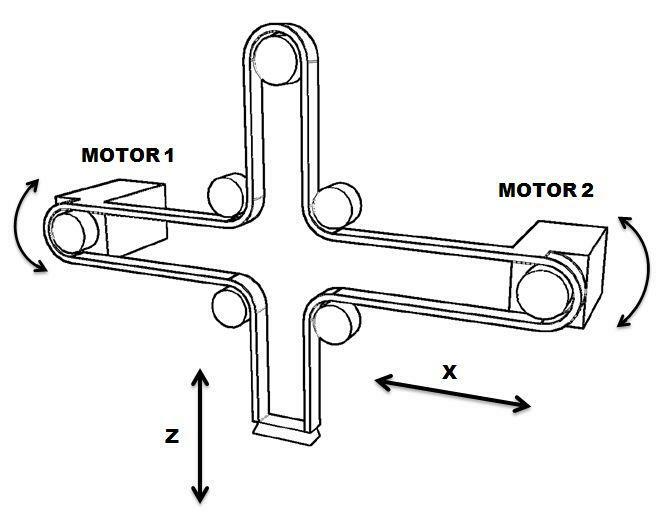 The 2 motors are put stationary to the X-axis. 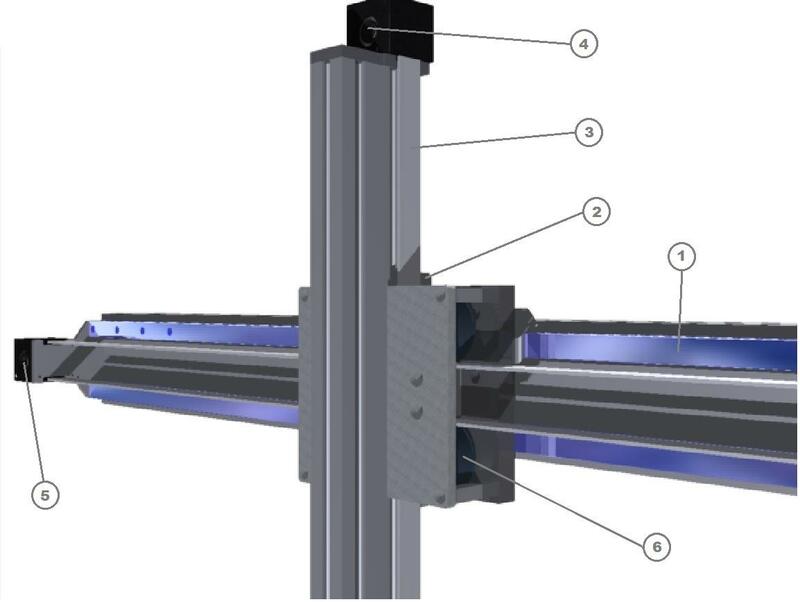 There is 1 tooth belt driven both the X-axis and the Z-axis. 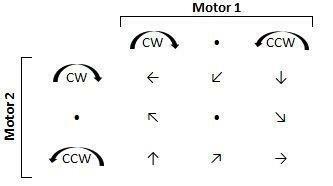 If both motors are powered at the same time it gives the maximum acceleration (deceleration). 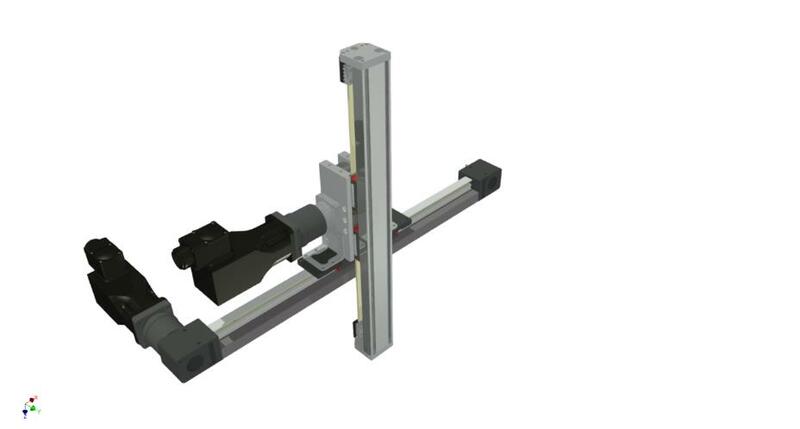 There is a linear guide in the Z-axis that also move up and down and left to right. 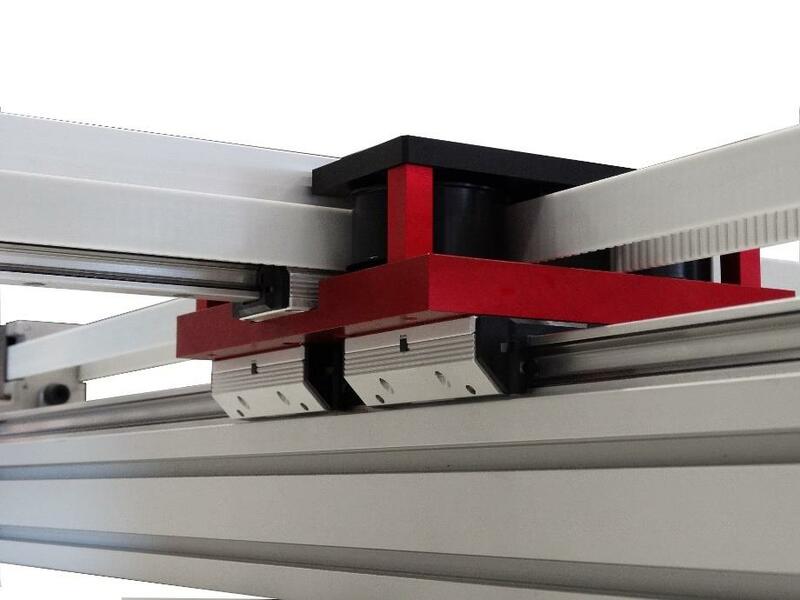 If a standard recirculating ball rail guide is chosen, the steel rail is heavy. Therefore a “Franke” guide will be used. The Franke guide had an aluminum profile with steel inlays, which gives a weight reduction. And the Franke guide is a very good guide for high speed application like this. 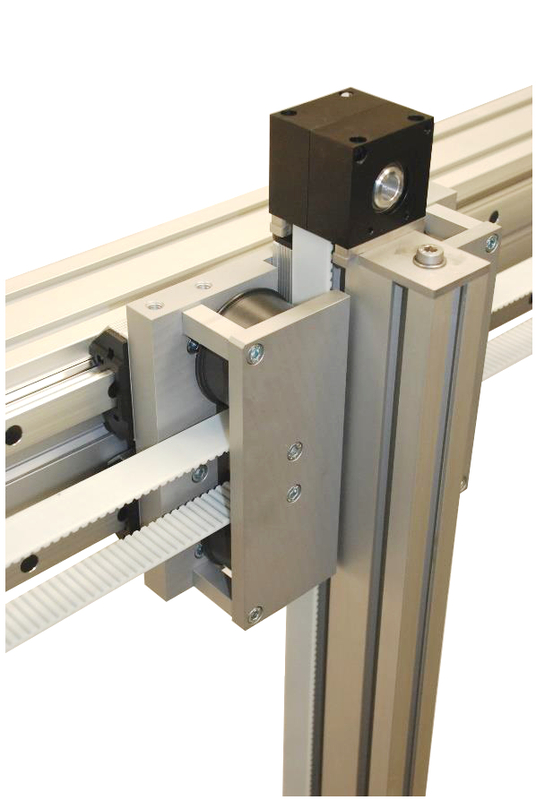 The same belt construction is chosen as the LT55 linear unit. Breco tooth belt 25 mm wide tooth shape AT5. And the typical Omega parts are from the standard LTZ55 unit. 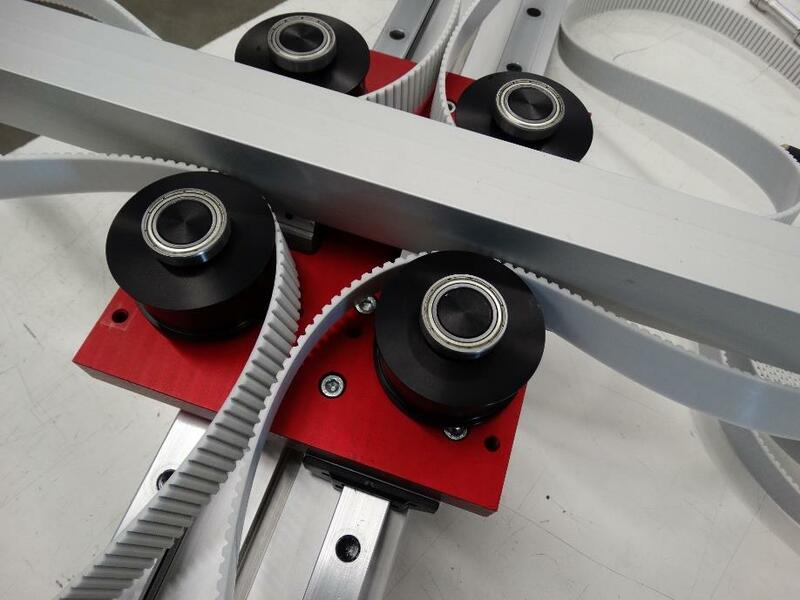 The design of the Centre Carriage Plate must be light weight and compact. It should be only 1 Plate to keep the design simple and light weight. The system was built in December 2013 and is still running well. And with a 40x40 profile in the Z-axis instead of the original 40x80.